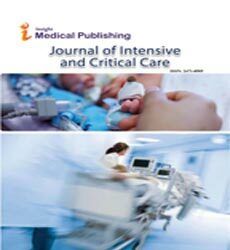 Journal of Intensive & Critical Care publishes original articles of novel research and reviews. We will consider manuscripts of any length; we encourage the submission of both regular and rapid communications. The articles should be concise and methedological, try to avoid complex jargon or abbreviations so that the paper is understandable for readers outside a specialty or those whose first language is not English. Editors will make suggestions for how to achieve this, as well as suggestions for cuts or additions that could be made to the article to strengthen the article. Our aim is to make the editorial process rigorous and consistent, but not intrusive or overbearing. Authors are encouraged to use their own voice and to decide how best to present their reviews. Although we encourage submissions from around the globe, we require manuscripts be submitted in English. Authors who do not use English as a first language may contact us for additional information. As a step towards overcoming language barriers on acceptance of the paper, we encourage authors fluent in other languages to provide copies of their full articles or abstracts in other languages. We will publish these translations as supporting information and list them, together with other supporting information files, at the end of the article text. Manuscripts should be prepared with numbered lines, with wide margins and single space throughout, i.e. also for abstracts, footnotes and references. Every page of the manuscript, including the title page, references, tables, etc. should be numbered. However, in the text no reference should be made to page numbers; if necessary, one may refer to sections. Underline words that should be in italics, and do not underline any other words. Avoid excessive use of italics to emphasize part of the text. In typing the manuscript, titles and subtitles should not be run within the text. They should be typed on a separate line, without indentation. Use lower-case letter type. In the text refer to the author's name (without initial) and year of publication, followed if necessary by a short reference to appropriate pages. Examples: "Since Peterson (1988) has shown that..." "This is in agreement with results obtained later (Kramer, 1989, pp. 12-16)". References cited together in the text should be arranged chronologically. The list of references should be arranged alphabetically on authors' names, and chronologically per author. If an author's name in the list is also mentioned with co-authors the following order should be used: publications of the single author, arranged according to publication dates - publications of the same author with one co-author - publications of the author with more than one co-author. Publications by the same author(s) in the same year should be listed as 1994a, 1994b, etc. In the case of publications in any language other than English, the original title is to be retained. However, the titles of publications in non-Latin alphabets should be transliterated, and a notation such as "(in Russian)" or "(in Greek, with English abstract)" should be added. Work accepted for publication but not yet published should be referred to as "in press". Greek letters and other non-Latin symbols should be explained in the margin where they are first used. Take special care to show clearly the difference between zero (0) and the letter O, and between one (1) and the letter l.
Levels of statistical significance which can be mentioned without further explanation are *P<0.05, **P0.01 and ***P0.001. In chemical formulae, valence of ions should be given as, e.g., Ca2+and not as Ca++. Isotope numbers should precede the symbols, e.g.,18O.